R.B. Collins Law, LLC is dedicated to finding innovative approaches to resolving client issues and concerns. Our strategy is to promote the law as a “preventive” problem solving mechanism. We emphasize the importance of acquiring legal expertise “before” problems arise. Most issues can be resolved outside of the courtroom by addressing their solution prior to the filing of a lawsuit. R.B. Collins Law, LLC’s objective is to provide our clients with an alternative, progressive thinking legal problem solving source. The firm has established a tradition of excellence in the areas of criminal, real estate, small business development and employment law. Attorneys affiliated with the firm possess expert knowledge in an array of practice areas. 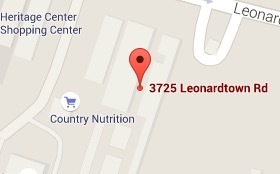 Our office is conveniently located in Southern Maryland (Waldorf). Founding Managing Principal Reuben B. Collins, II has over 20 years of experience in employment, small business development and real estate law in both the public and private sectors. Attorneys affiliated with the firm bring more than 20 years of experience in civil rights litigation, criminal, personal injury, and business and commercial services.